As deepwater wells are drilled to greater depths, pipeline engineers and designers are confronted with new problems such as water depth, weather conditions, ocean currents, equipment reliability, and well accessibility. Subsea Pipeline Design, Analysis and Installation is based on the authors' 30 years of experience in offshore. 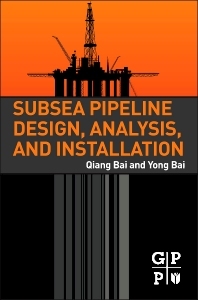 The authors provide rigorous coverage of the entire spectrum of subjects in the discipline, from pipe installation and routing selection and planning to design, construction, and installation of pipelines in some of the harshest underwater environments around the world. All-inclusive, this must-have handbook covers the latest breakthroughs in subjects such as corrosion prevention, pipeline inspection, and welding, while offering an easy-to-understand guide to new design codes currently followed in the United States, United Kingdom, Norway, and other countries.